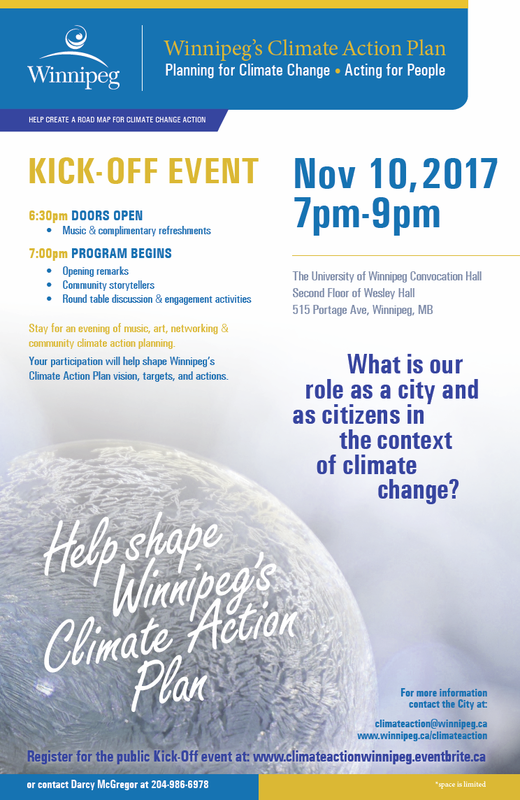 Help shape Winnipeg’s Climate Action Plan! Climate Action Plan vision, targets, and actions. Open Monday to Friday, 10:00 a.m. to 4:30 p.m.